You can customize the initial size at which camera windows appear. 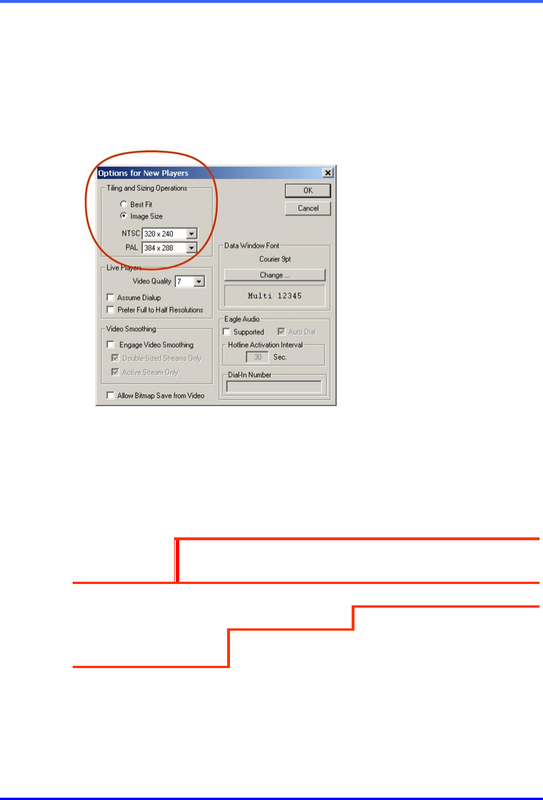 Players window appears, as in figure 21.
choose a size for Multi-Media units using NTSC, PAL or both. Fig. 21. Changing the size at which Camera windows appear. * Use procedure !28, below on p. 2–14, to identify a Multi-Media unit’s processor. figure 22. The “legacy” resolution is not assigned dynamically to live camera windows.